Why to choose WordPress in Web Development over other frameworks? WordPress is a open source platform where we can develop our imagination/business in the form of websites, this means you are free to download, install, use and modify it via wordpress free themes. The source code of this platform is easily available for any one to study, modify and play with it. According to stats there are 2600+ Wordpress themes and 31000+ plugins available which is free & paid themes. We can download,install and use them on our websites. Some people thinks that Wordpress is just a blogging platform but it has also been evolved as versatile content management system(CMS). Best thing about Wordpress is that it is too easy too use and flexible enough for anything. Due its robustness,many top brands use wordpress to power their websites as:Time Magazine, Google, Facebook, Sony, Disney, LinkedIn, The New York Times, CNN, eBay, and more. Many People use this wordpress and it is not necessary that Wordpress is only used by web designers or programmers.People in general use wordpress without having appropriate knowledge about Web Designing or Programming. WordPress has arrived with built-in updater that allows you to update your plugins and themes from within your WordPress admin dashboard. It also notifies you when there is a new version of WordPress is available, so you can update it by just clicking a button. There are different themes and Professionally designed themes for free.WordPress themes allow us to have a professionally designed website with thousands of themes without the pain or expense of hiring a professional web designers. We dont need an expert in internet or coder in html to use Wordpress .We just need an internet connection and web browsers for creating our website.For this We can also have its host domain's name here. It has its build up updater in it though which we can update our plugins and themes with Wordpress admin dashboard.It also notifies whenever there is new version of Wordpress so that we can update it by just clicking a button. Wordpress is mainly written with its compliance of high quality code which produces a semantic mark up to make our website very attractive for the search engines .By its design it is SEO friendly and we can make our Wordpress SEO plugin also very Friendly.As Google Engineer Matt cutts says ‘WordPress automatically solves a ton of SEO issues’. And with the free SEO plugins, your site will be even more search engine friendly. Nowadays people search for the good design and modern look for their website and with the available themes and functionality it makes your 50% of work done. If you just search "Garden based website theme on wordpress" so you will have more than hundreds of themes which will be attractive and have a very easy flow. 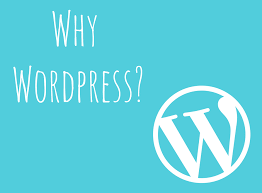 Wordpress has lot of options which can lessen your efforts and even if the guy who is new to the website technology he can design and develop the website on this platform. With ease of use and its availability of many Professional quality themes and pluging,Wordpress has much popularity in web publishing system onb the planet. Mobiles website are too much exploding nowadays.So wordpress has also been designed to work on full sized pcs uptil smartphones so that we can manage our website from anywhere. Wordpress is open source and freely avaiable without any limitations and restrictions .It means we can use this wordpress software and can also host it anywhere we choose. It Contains a huge active and generous community which has always provided us a huge support so that we can exchange ideas through it. As we know that Wordpess Has been started up as a blogging platform but that was too earlier and it has develeoped as a full featuredweb content Management system(CMS). Wordpress Plugins add up a business feature which is very complex without having to hire a coder which is designed to be extended and this is done by mainy by the programmers all around the world. Wordpress is already over ten years old .With its past till now It has been Refined,Tested and enhanced .It has been evolving as A Web Publishing System. Wordpress is the best way to start up your business and you can sell your products related to the website and make a business with an online presence. Woocommerce has taken over most of the ecommerce platforms because of its easier management of products and designs as well, a perfect solution to sell your products in this platform.